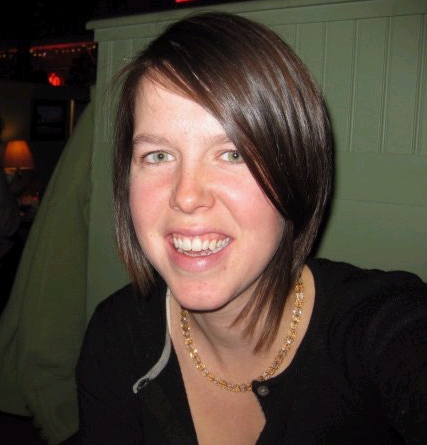 Prior to my research, I knew very little about tequila: I like it, and Patron is expensive. 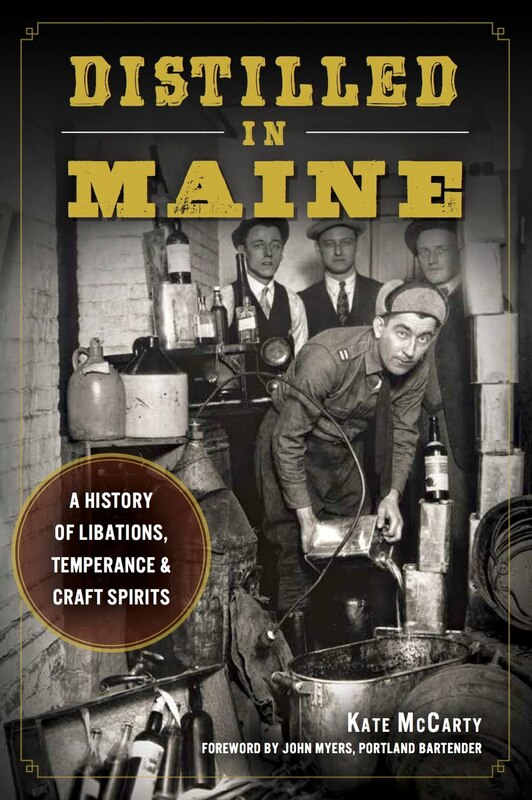 So in order to write a knowledgeable column about the spirit, I had to take to the bars for an on-the-fly education. Rough assignment. My first stop was The North Point with my friend Luke, who has always tried to talk tequila with me, but I never had a place in my brain for the info. I tapped him for recommendations and as a drinking buddy, figuring he'd know the bars around town with the best selection and could talk the lingo with the bartenders. They're so friendly at The North Point. The bartender and the owner were very excited to be part of our tequila tasting, serving up a flight of the three styles of Kah tequila. Kah is fun because it comes in white, yellow, and black skull-shaped bottles. The reposado was my favorite, and it turned out to be my favorite style of most brands. I enjoyed the Centenario reposado, which was $13, I believe. 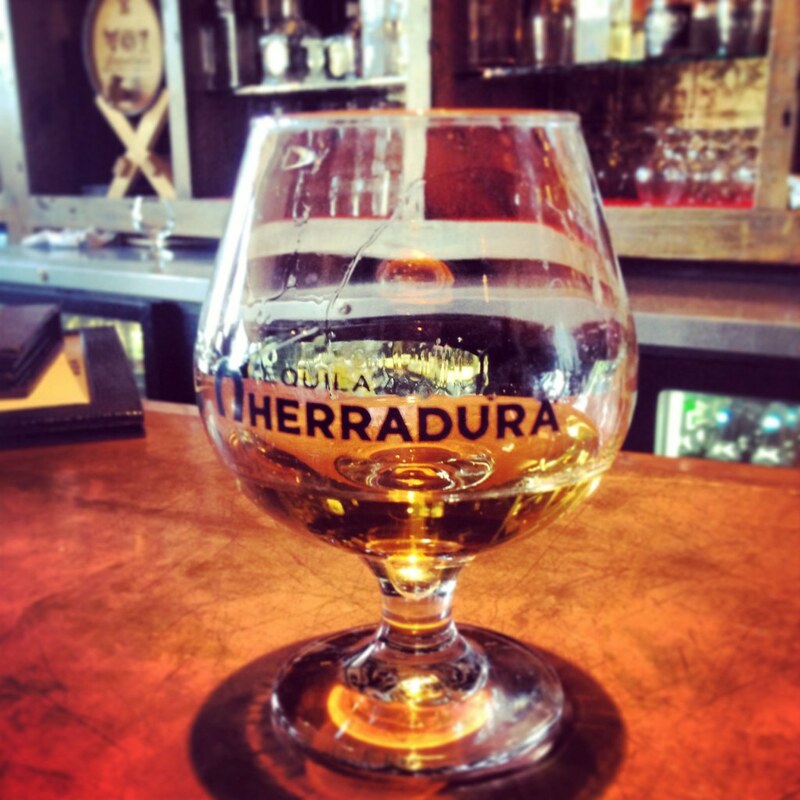 Reposados are aged two to twelve months, and so are more nuanced and mellow than unaged or silver tequilas. Anejo tequilas are aged longer in charred barrels, so they can taste smoky like scotch whiskey. After two Centenarios (silver and reposado), I tried the Patron reposado, which was a step down in my mind, after to the Centenario. It tasted comparatively flat. Also, drinking tequila is not a cheap hobby; my tab was $40 for the three drinks. 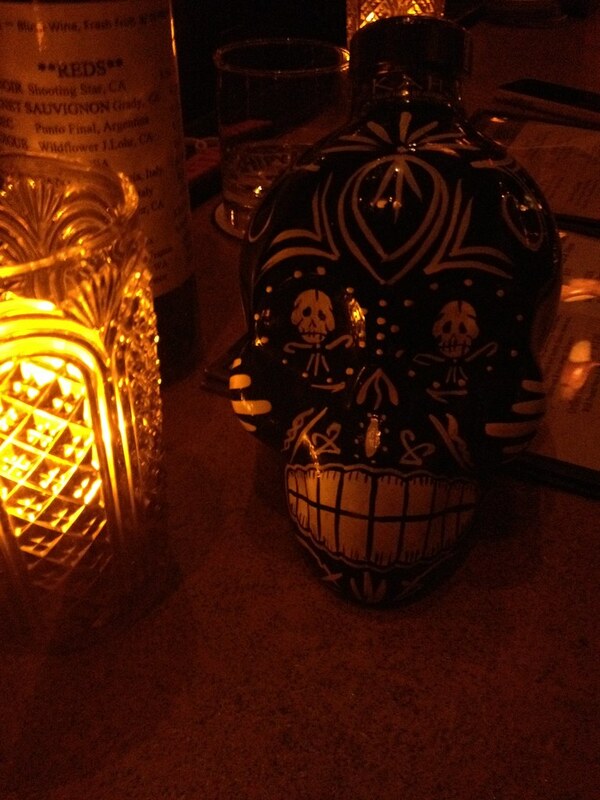 The following weekend, I finished up my research at Zapoteca, mecca for tequila selections. 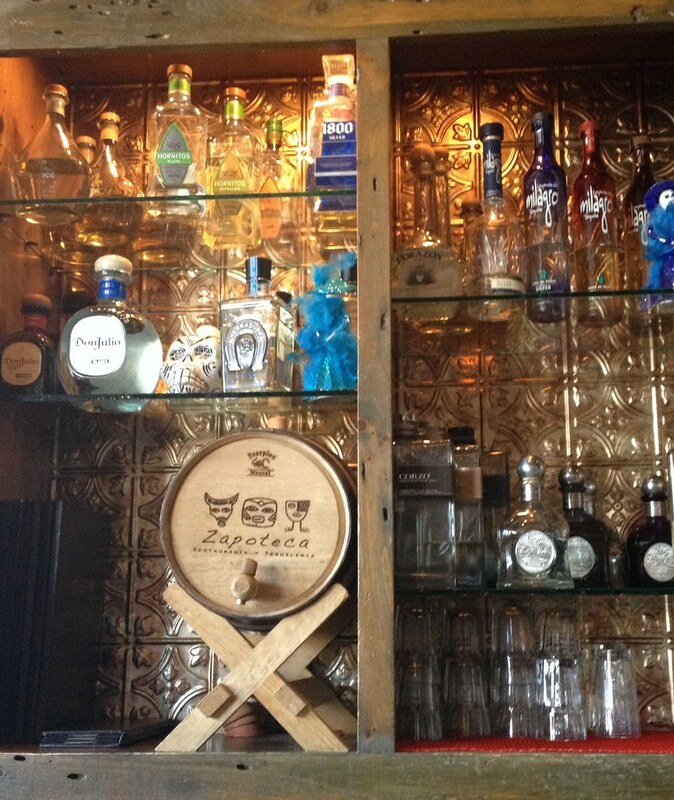 Zapoteca has upwards of 80 brands of tequila and mezcal and offers nine tequila flights. 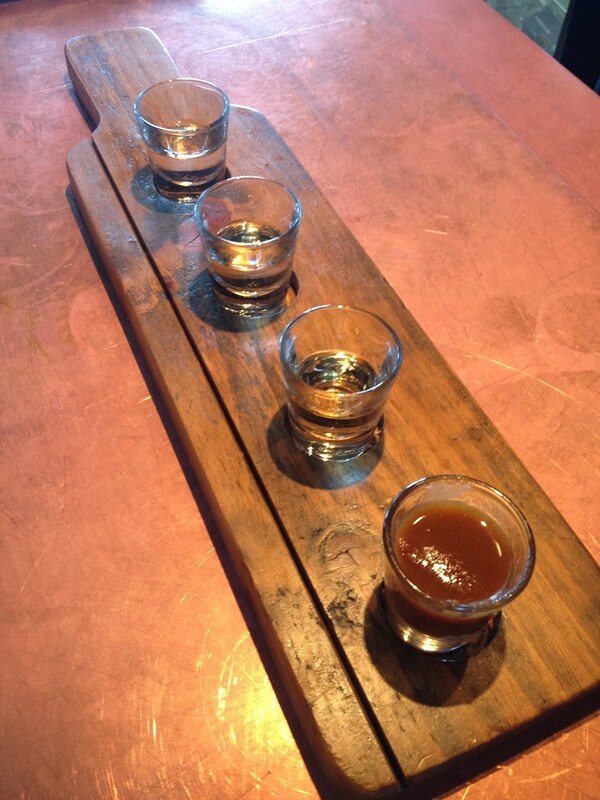 The flights are half-ounce pours of one brand of tequila in the three styles. I tried Tres Generaciones flight ($18), which tasted distinctly different between the silver and the reposado. I didn't notice too many different flavors in the anejo. A spicy side of sangrita, made from fire-roasted tomatillos serves to cleanse your palate between sips. Tequila-loving Luke was along for this trip too, and after the bartender picked up that he was an aficionado, he was offered this Herradura Port Cask Finish Reposado. It was heavenly; very full-bodied for a reposado, tasting more like an anejo with some sweetness from the port cask aging. After my flight, I spotted a beautiful minimalist bottle on the shelf and we ordered a drink from it - Casamigos, which turns out is George Clooney's brand. It was very good, but apparently very expensive (by the bottle) for what it is. There are a lot of celebrity-owned tequila brands, ones from Justin Timberlake (901), Sammy Hagar (Cabo Wabo), John Paul DeJoria (aka Paul Mitchell; Patron), and Santana (Casa Noble). I learned a lot about tequila in a short time; it felt like overturning a rock and discovering all the life teeming underneath. I'm looking forward to continuing to expand my knowledge with LFK and El Rayo Cantina's selections of tequila. If like many, you fear the hangover of tequila, know that like all liquors, the better they are, the easier they are on you. After three tequila drinks, I felt fine the next day. Drink up!